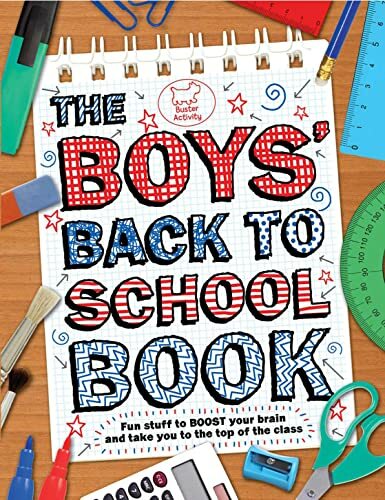 With The Boys' Back to School Book, boys can banish those end-of-holiday blues, and discover that school is cool. Packed with brain-boosting quizzes, games, puzzles and activities, this book is sure to send boys to the top of the class. Boys can train their brains with number puzzles, carry out cool science experiments, test how hot they are at history, learn some great new playground games and much more. Steve Martin was born in Northumberland in the far north of England. After graduating in English, he spent many years teaching English to adults - including 15 years teaching literacy in prisons. Steve now lives in the English Midlands, with his wife and two sons and makes his living from a wide range of writing including children's non-fiction, business communication and developing e-learning materials.